While the reviews have admittedly gone away, I still keep hooping, but my beloved Kobe VIs aren’t getting any younger. My go-to shoes for the last two years are shot. With the heel foam permanently broken down and traction wearing smooth, I had tried hooping in other shoes. 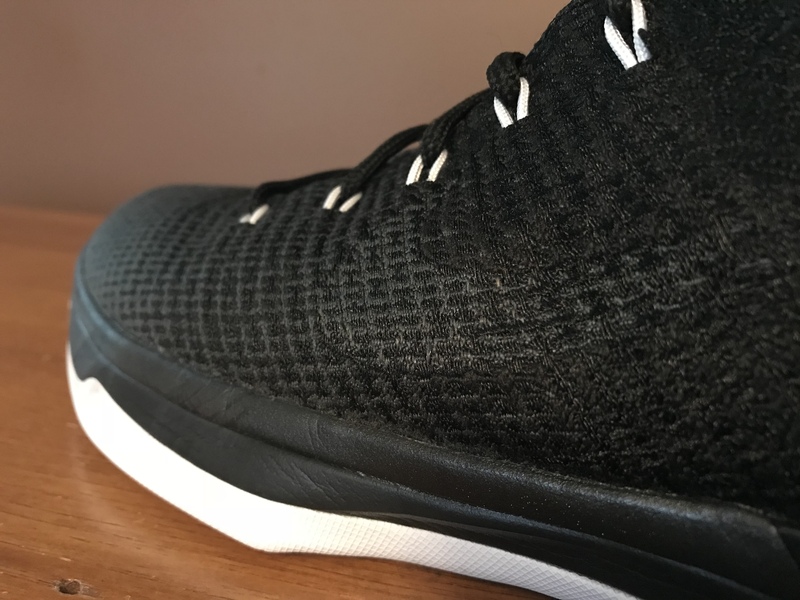 The Harden Vol 1s were ok (I actually really liked them through the first couple months of wearing, and gave them a positive review here) but multiple rolled ankles in them eventually forced me to retire them for something that fit more snug. I grabbed the Zoom Run the One at the outlets for a cool $35, but the traction and cushioning left something to be desired. Cheap Zoom relegated these to workout status. Next came the Flyknit Hyperdunk 2016s from the outlets, which are still partially in the rotation. They offer fantastic cushioning (like, XX8-level cushioning) and fit, yet heel lockdown wasn’t quite perfect and I was left wanting something more traditional. 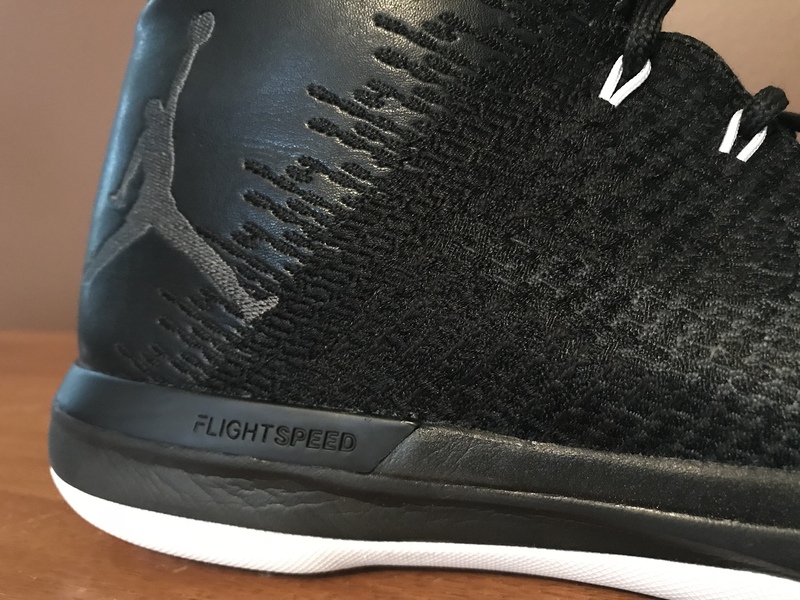 I had eyes on the Jordan 32 thanks to its gorgeous materials and carbon fiber support, but the $185 price tag is pretty steep. I had tried on the Jordan 31 in store and at the outlets a couple different times, and when Eastbay’s Final Score closeouts featured the 31 on sale plus 40% off, I pulled the trigger on the Black Cat colorway. Schwollo, my go-to source for reviews right now, likened them to TGRR-favorite Zoom BB. After having tried them for myself for over a month now, it is uncanny how similar the 31 feels to the original Zoom BB, especially from a Zoom feel standpoint. The 31 does have some minor drawbacks, but it’s a consistent and solid performer. It’s not the newest shoe on the market but if you’re looking for a performance shoe on a budget, these can now be had at serious discounts all over the web (I believe Weartesters’ duke4005 found them as low as $79.99 in some stores, too). I went true to size with an 11.5. 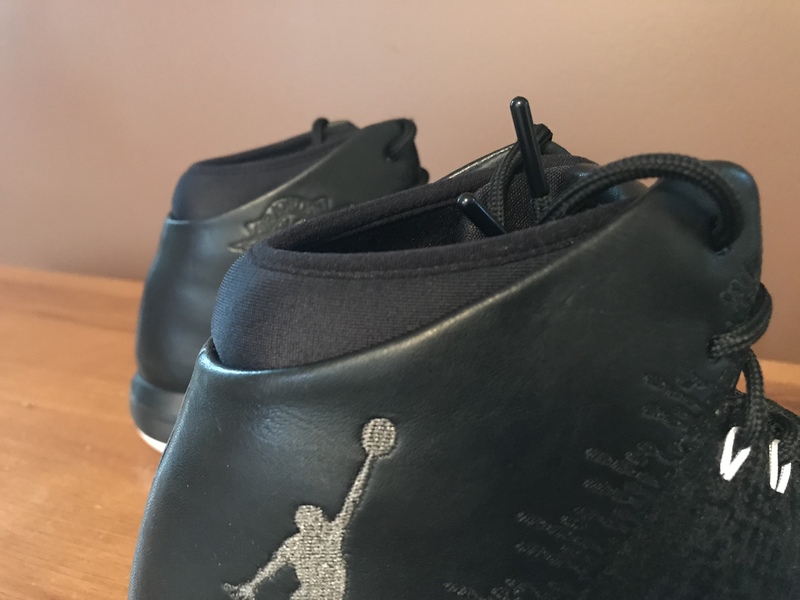 I typically like to go a half-size down in my hoop shoes in order to get a better fit thanks to a narrow foot, but having tried these on a couple times I knew the toebox ran a little short for that. I can’t imagine anyone going down a size in these so TTS is the move if you don’t get to try them on first. There are a couple different aspects with the fit to touch on, and some of it is going to overlap into materials. 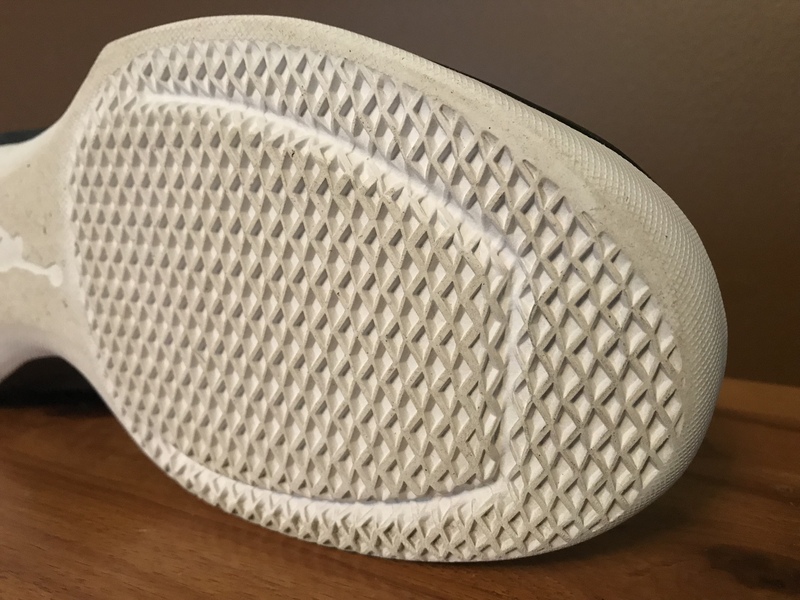 The tightly woven Flyweave forefoot portion makes the shoe flexible, comfortable, and allows it to conform to the foot within a wearing or two. It felt more robust and structurally strong than the weave used on the 29 or 30. As it transitions to leather in the heel portion, you also get a thick neoprene inner collar. The neoprene inner collar is exceptionally well padded in the Achilles area and gives the shoe a plush feel on the interior. I did not experience any Achilles pain, as some have noted in their testing. I had zero issues with lockdown – even forefoot containment was acceptable by standards although I’d have preferred a raised midsole or bigger outrigger. I didn’t care for the traditional detached tongue as it created some pressure points on the medial sideon the ankle bone. Because of the detached tongue, leather heel portion, woven upper and neoprene inner collar, I didn’t necessarily get a second-skin type of fit. There are a lot of moving pieces there and I felt that when fully laced there was a bit of excess material or volume. I happen to prefer the 1:1 kind of fit but it was certainly not a deal-breaker for me considering the lockdown itself was really good. 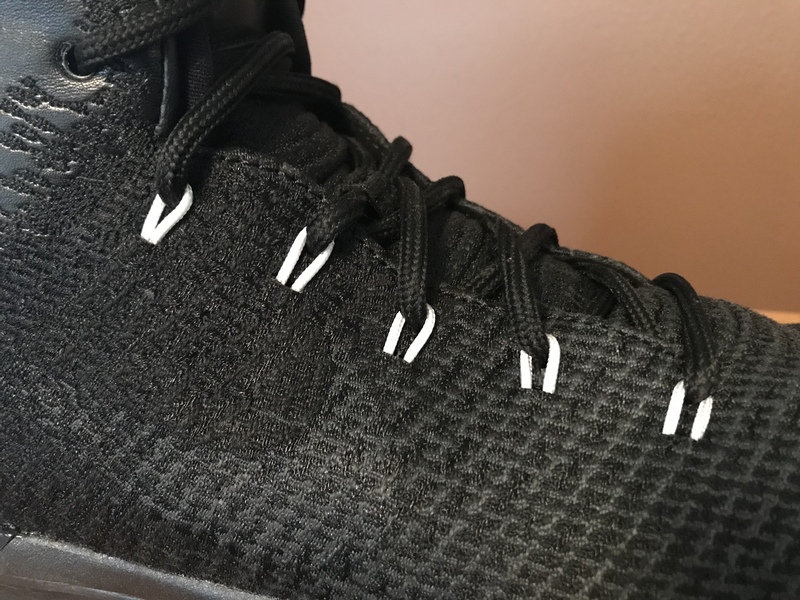 With a narrow foot plus being used to the Kobe VI and Anta’s KT2 Outdoor (review to come), this may have been an issue more unique to me than most wearers. Transition is butter-smooth right out of the box. 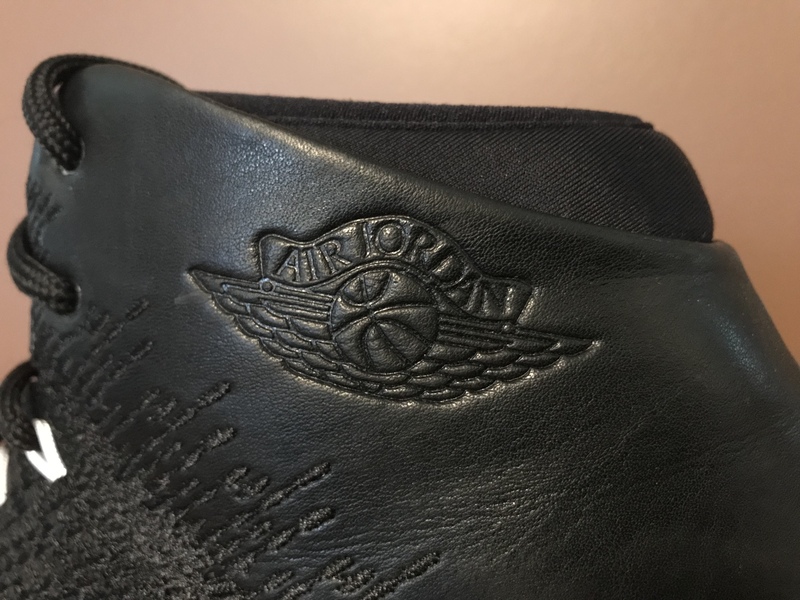 No slap at all as the outsole is not decoupled. 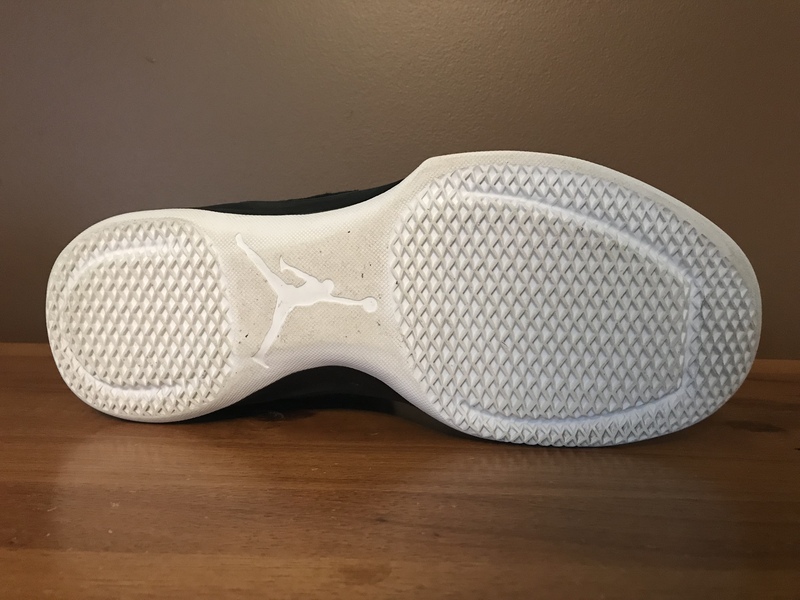 Initial impressions of the shoe raised concerns about the fact that the outsole in the heel and forefoot protrude slightly, giving the illusion that the shoe might be tippy or unstable. I didn’t notice any instability – not even when standing still – and I feel like the weight of most wearers will compress the bags enough that it won’t be noticeable. This is one area where the shoe especially reminded me of the Zoom BB that I played much of my freshman year of college practice in. I loved that shoe for its consistent traction, court feel and cushioning, and the 31 ticks the latter two of those boxes. The Flightspeed platform does not provide as much support as the Flightplate of a few years back, but does allow for a more natural feel. The full length Zoom bag is how Zoom is supposed to feel – thick, allowing good court feel, and super responsive. There’s a noticeable bounce with these Zoom bags that’s not like budget Zoom-based models. I know the 31 came at a premium retail, but the Zoom setup is worthy of that price. Responsiveness is important to me but so is ride height and court feel, and the 31 presents a fantastic combination. You don’t get the big volume, bouncy, effect that you do with the Flyknit HD 2016, but court feel is better and I felt like the ride was lower and more stable. Again, it really is like the Zoom BB or some early 2000s Zoom model reborn. 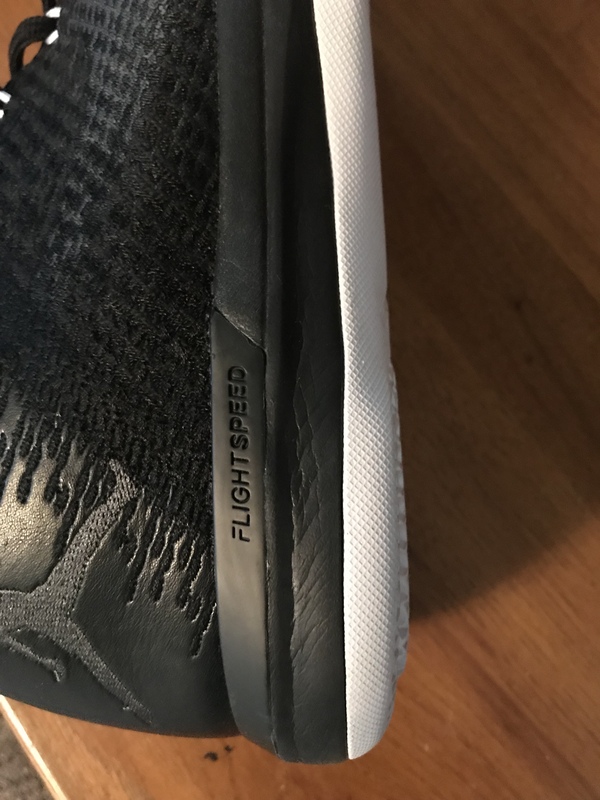 If I could design a cushioning platform from scratch, the first two criteria would be court feel and responsiveness – and the Jordan 31 nails both. Speaking of 2000s Zoom cushioning platforms, if anyone reading has a pair or knows someone that has a pair of deadstock/good condition Zoom Drives, in an 11/11.5, with the caged heel Zoom and forefoot strap PLEASE HIT ME UP. This has been and continues to be the biggest point of contention with the Jordan 31. The translucent outsole models were panned for below average traction, so I went with the Black Cat colorway mostly because of that solid outsole. Traction, to be honest, is not fantastic. I have one league at local elementary school gym, with a floor that’s exceptionally well kept. Zero complaints with the traction in there. At the two YMCA courts I play on, the floors are not nearly as nice and traction suffers. Some shoes shed dust from the outsole, but the 31 seems to collect it. I don’t feel like the pattern is deep enough to bite the floor and isn’t spaced wide enough to flex and grab either. I don’t feel unsafe in the shoe, but I certainly wish it was better on average floors. 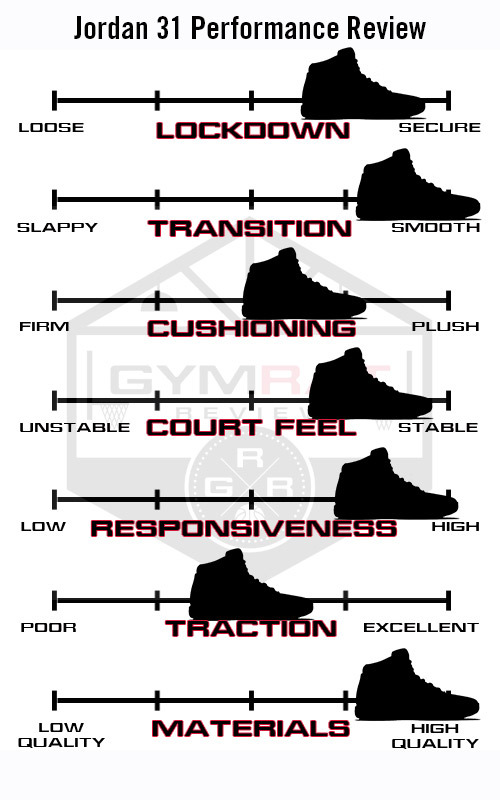 The top of the traction class is the Rose 7/Rose 8, and I feel the 31 probably falls somewhere below average compared to most high-end shoes on the market. This is also the one area that the Zoom BB is far and away better than the 31. I gave it an average rating on the scale because it still plays well on good surfaces. Simply put, the 31 uses fantastic materials across the board. Flyweave > Flyknit, and actually has good performance properties besides being a fancy marketing piece. Full length Zoom feels like vintage Nike cushioning, and you get real leather on a performance hoop shoe in the heel portion – supple, quality leather at that. The neoprene inner collar is a great touch (although it’s apparently the source of Achilles pressure for some) and I enjoyed the excessive heel/Achilles padding. The materials used and application of each component are extremely well-executed in the Jordan 31. 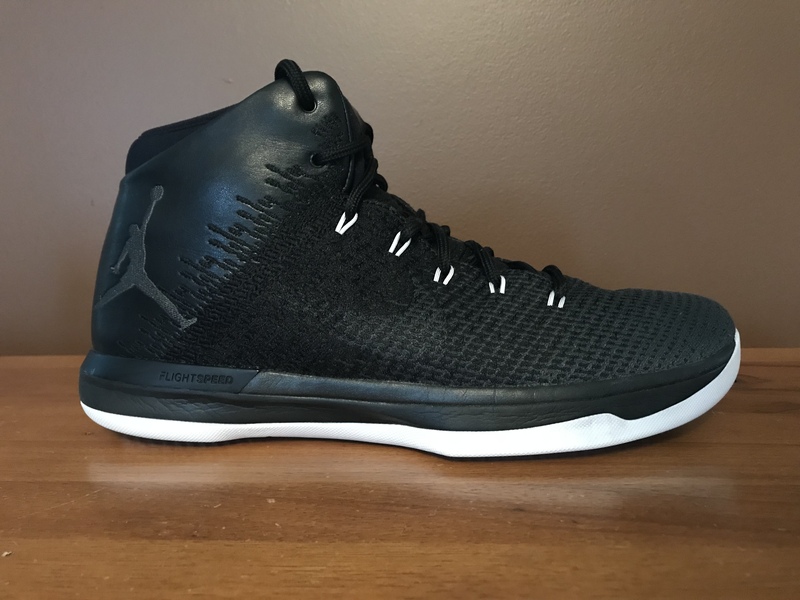 It’s been awhile since I’ve written up a review and this one feels clunky to me but in conclusion, I like the Jordan 31 a lot. It’s got the familiar feeling of a favorite hoodie right out of the box. It’s comfy, fits well, and plays consistently underfoot. The full Zoom setup is fantastic in all aspects. Transition is smooth. I know what I’m getting every time I slip on the 31. That said, do I love the shoe? Sometimes. The traction is iffy on some courts and the shoe doesn’t fit like a super snug extension of the foot, two things that I typically don’t care for in my go-to shoes. Stumbling into the KT2 Outdoor, which fits and plays like my favorite Kobe VIs, makes it harder for me to choose the 31 every time too. I do know that I’ll play in the 31 for a long time, and that’s probably the best indication of my overall feeling towards the shoe. With one of the best cushioning setups I’ve ever played in and great materials across the board, put the 31 on your short list this holiday season if you’re looking for a high-performance shoe on a budget. I just blushed. Sorry the traction didn’t work out that great for you. Good luck finding those Zoom drives they are pretty much ghosts now. Zoom BB 1 can be found on occasion at least. Thanks for the great as always read Jake! Hope 2018 treats you well! It’s true – I always appreciate the honesty and the way you look at a shoe to review it. Thought the Zoom BB comparison was spot on as well. Always looking forward to your reviews! My friend has white/red Zoom Drives in sz 11. Maybe he’d let them go. Email me if interested! Nice review Jake. Even though the reviews are a bit scarce, I still enjoy reading your thoughts on a shoe.